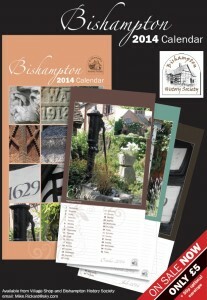 The Society’s calendar for 2014, incorporating views of some of the more historic properties in Bishampton, is now available. This is priced at £5.00, with an optional mailing envelope available at £0.50. These are obtainable from Mike Rickard (mike.rickard@sky.com) and Bishampton Stores.